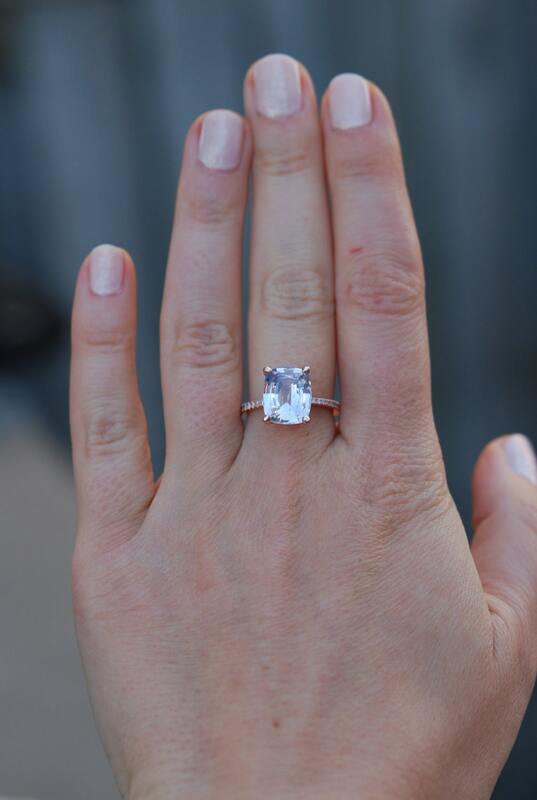 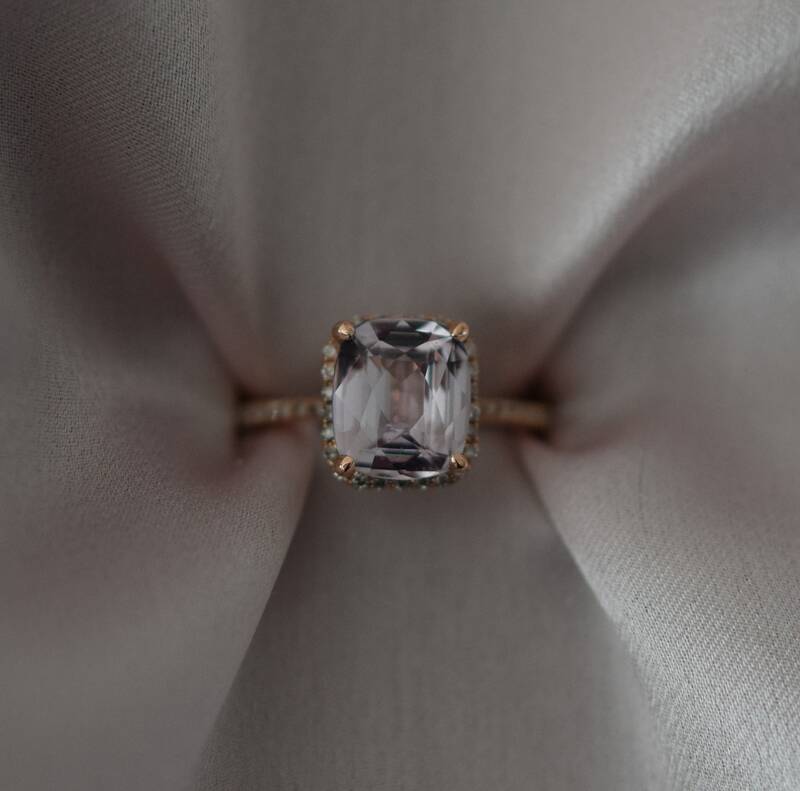 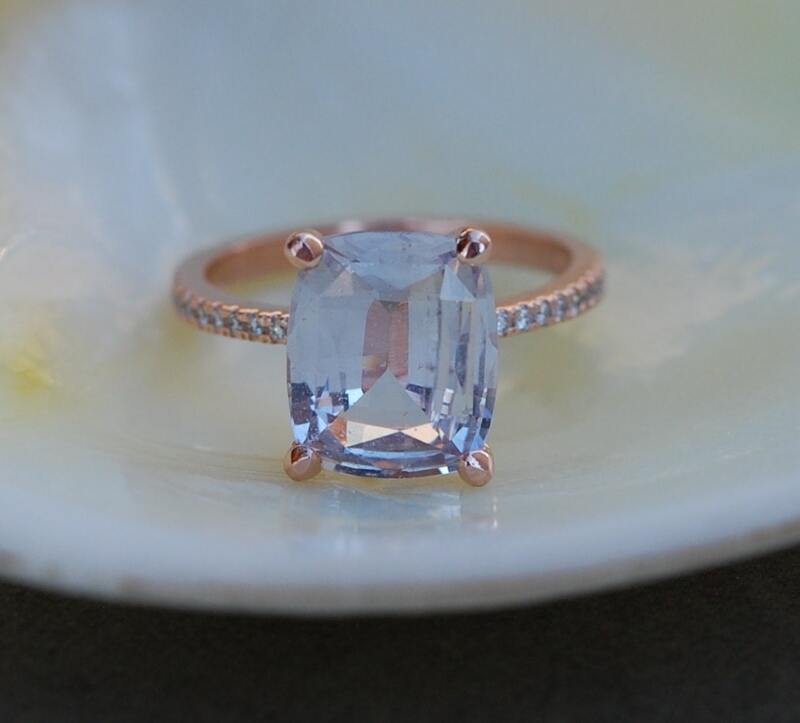 Very beautiful cushion engagement ring features a natural non-treated color change sapphire. 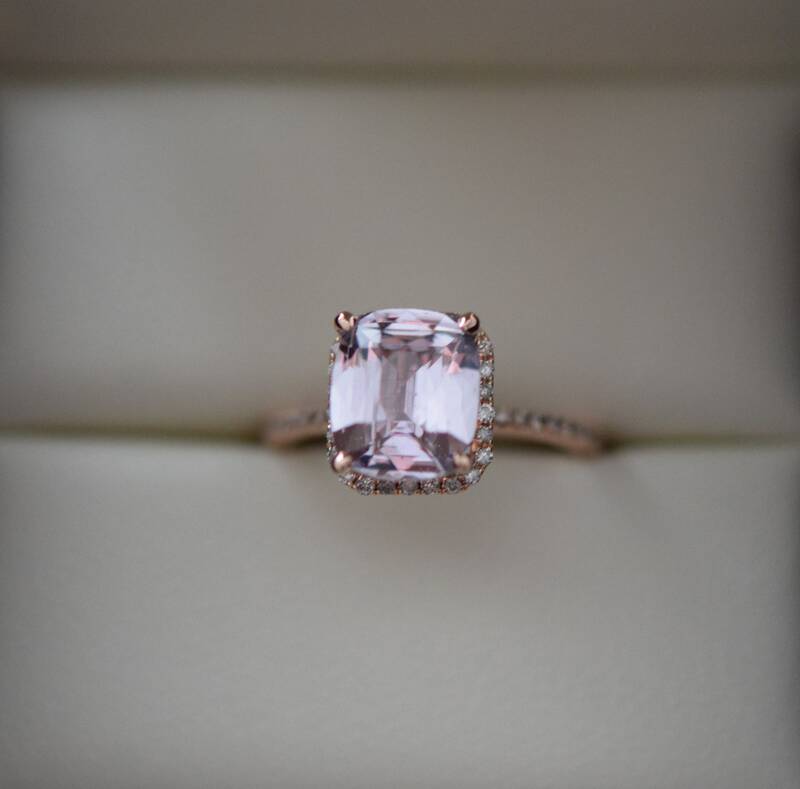 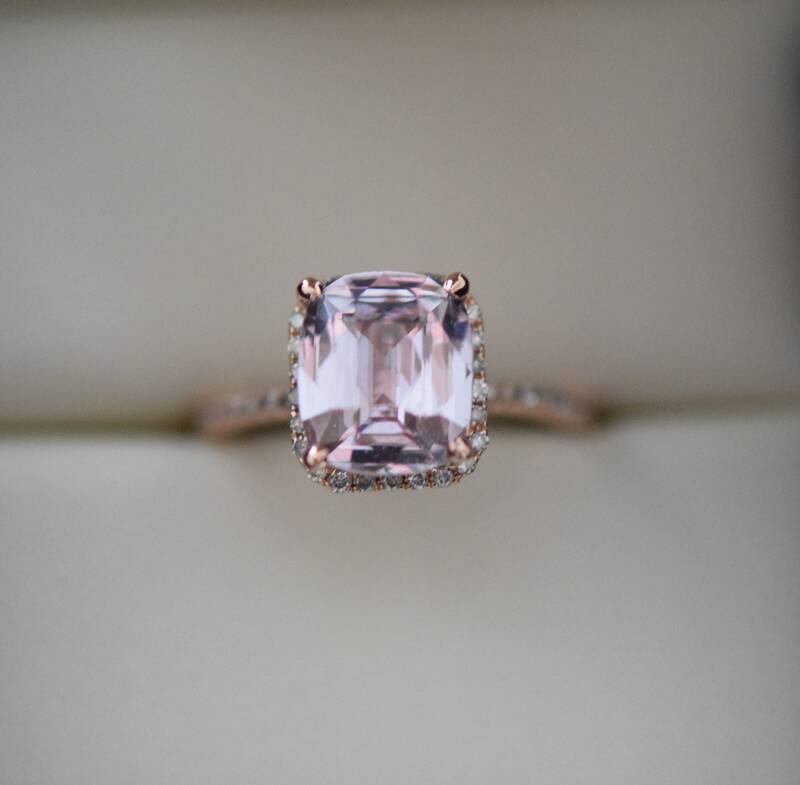 As common for non-heated sapphires, this stone has gorgeous very faint lavender overtone that changes to pink, purple, grey and peach under certain lightening. 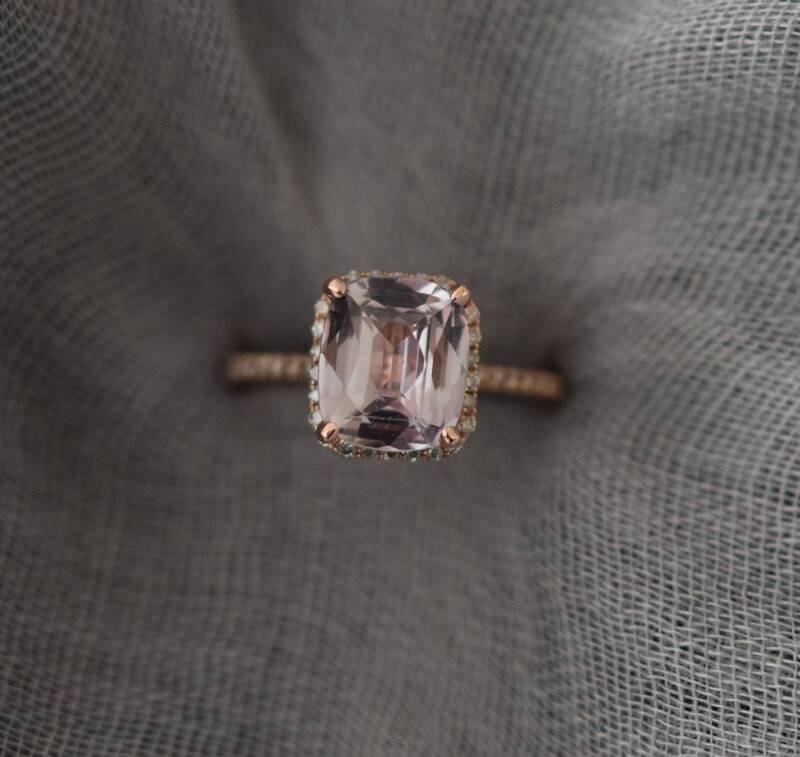 This sapphire is 3.21ct, SI, unheated. 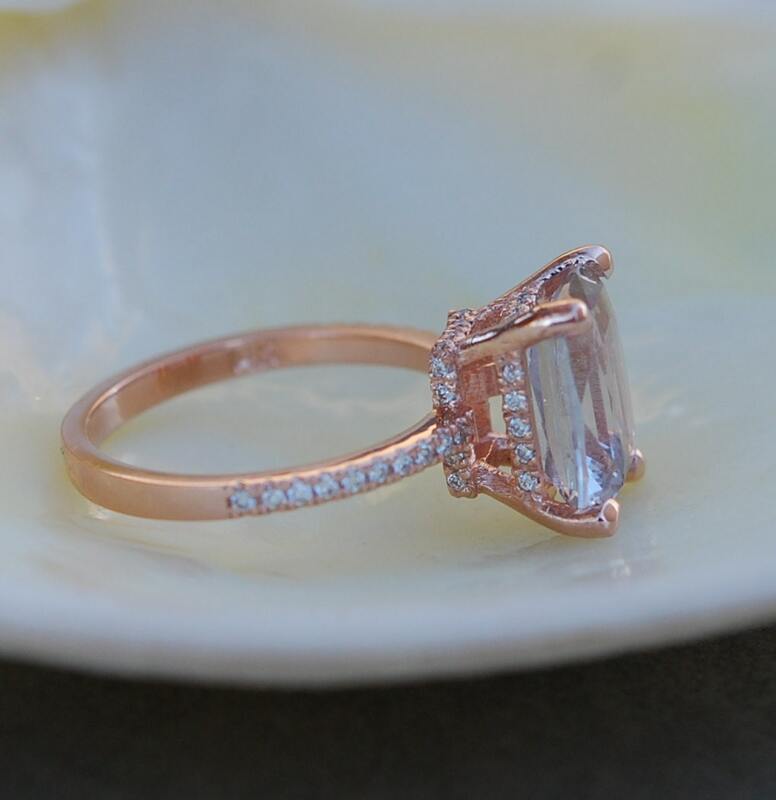 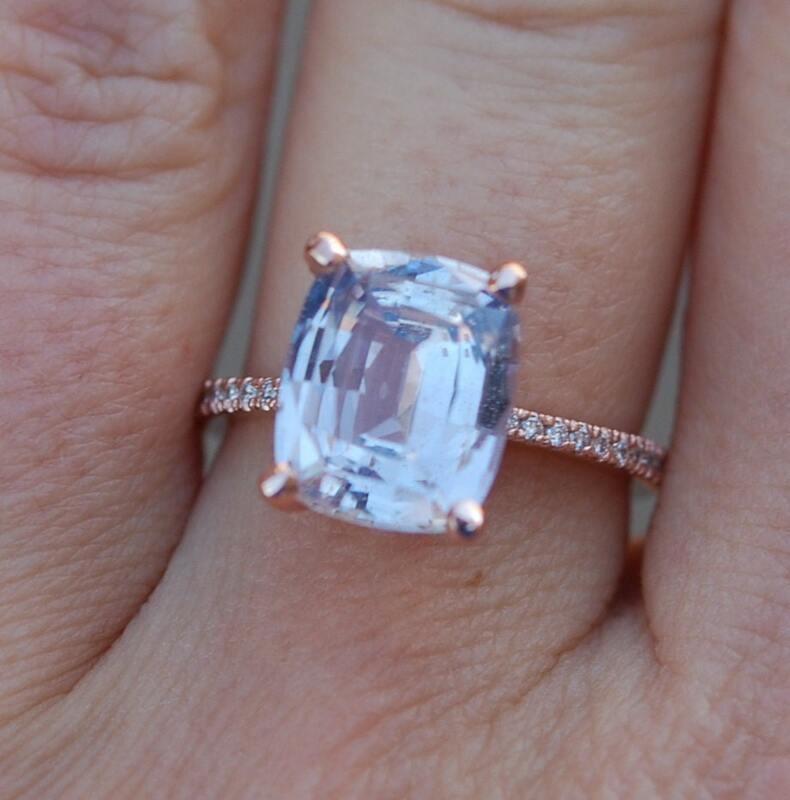 The sapphire is set into my upgraded sturdy 14k rose gold setting, VS/F diamonds. 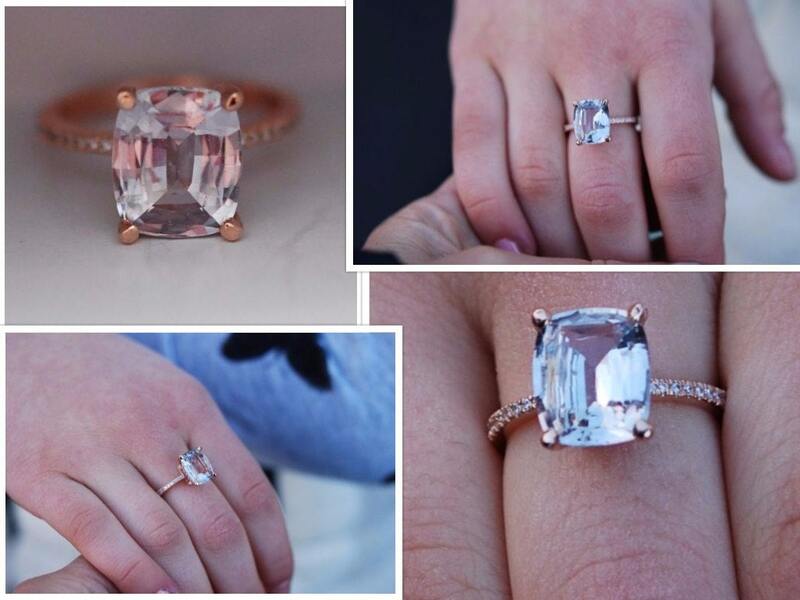 Perfect for your one of a kind lady as engagement ring or anniversary ring.